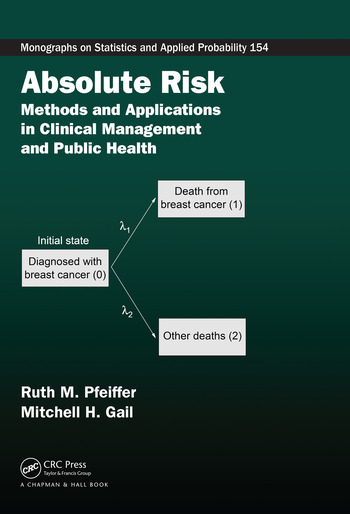 Absolute Risk: Methods and Applications in Clinical Management and Public Health provides theory and examples to demonstrate the importance of absolute risk in counseling patients, devising public health strategies, and clinical management. 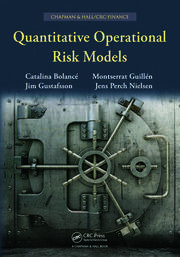 The book provides sufficient technical detail to allow statisticians, epidemiologists, and clinicians to build, test, and apply models of absolute risk. Ruth M. Pfeiffer is a mathematical statistician and Fellow of the American Statistical Association, with interests in risk modeling, dimension reduction, and applications in epidemiology. She developed absolute risk models for breast cancer, colon cancer, melanoma, and second primary thyroid cancer following a childhood cancer diagnosis. Mitchell H. Gail developed the widely used "Gail model" for projecting the absolute risk of invasive breast cancer. He is a medical statistician with interests in statistical methods and applications in epidemiology and molecular medicine. He is a member of the National Academy of Medicine and former President of the American Statistical Association. Both are Senior Investigators in the Division of Cancer Epidemiology and Genetics, National Cancer Institute, National Institutes of Health. 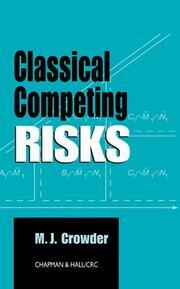 "This book provides an excellent comprehensive basis for researchers or advanced courses devoted to the development and assessment of absolute risk models. Ruth Pfeiffer and Mitchell Gail have a long history of active and successful research in the field of risk prediction modeling, the first publication of what has become known as the Gail-Model for breast cancer risk prediction having appeared over 25 years ago. This background allows them to present a broad overview of various model situations and modeling approaches together with various real-life data examples. It is a pleasure to see that assumptions and inference are treated with mathematical stringency in all addressed topics. The mathematical framework is introduced, motivated, and translated into a clinically meaningful context using worked examples, so as to give access to mathematically less experienced readers.